Australia's retail sector continues its buoyant run with a string of high profile openings fuelled by favourable currency rates and strong inbound tourism. Brisbane’s Queen Street Mall continues to attract high profile international brands with the opening of the newest UNIQLO flagship store from the Japanese retailer at 170 Queen Street. UNIQLO’s latest concept store spans over 2000 sqm across three levels and incorporates women’s, men’s and children’s clothing along with home wares. ISPT, one of Australia's largest unlisted property fund managers, has also welcomed Jan Logan’s first Brisbane boutique to 133 Adelaide Street. Australian Jewellery House Jan Logan neighbours other speciality retailers Jack London, Crumpler and Jimmy Rods, adding new interest to Adelaide Street. 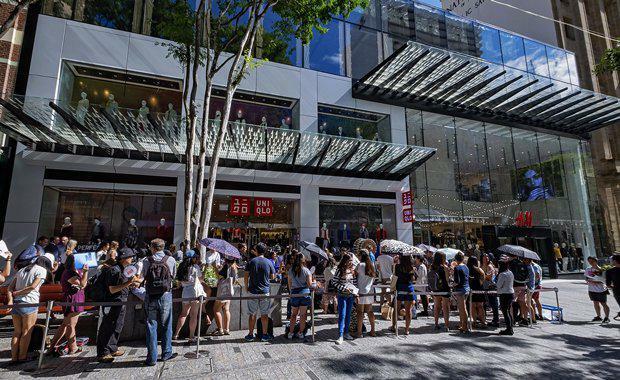 Chris McCluskey, General Manager, Development Services said, “The opening of UNIQLO is the final piece in the transformation of the premium section of Queen Street Mall, Australia’s busiest pedestrian mall. ISPT has introduced an array of international retail offers with the introduction of UNIQLO who now joins Zara and H&M.’’Elsewhere, Chinese tourists have become a key force behind a revitalised retail sector in Australia spending a record $8.3 billion during their stay in the year to December, according to Tourism Australia, a massive 45 per cent rise over the $5.7 billion spend in the previous 12 month period. Savills Australia’s Victorian Retail Service director Michael Di Carlo said the Chinese spend had been a key contributor to the healthy state of Melbourne’s CBD retail market which has shown a steady decline in vacancy over the last five years according to Savills’ latest research. "Chinese tourists are a very significant market for Melbourne retailers. They have strong links with Melbourne through a well-established Chinese residential and business community as well as a large Chinese student population. "Australia’s lower dollar has also meant a much more favourable exchange rate in recent years and that has, perhaps more than anything else, driven what is a remarkable increase in the total tourist spend,’’ Mr Di Carlo said.